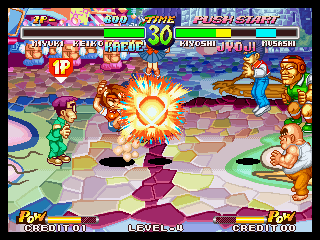 World Heroes (ワールドヒーローズ, Wārudo Hīrōzu) is a series of four fighting games created originally by ADK with assistance from SNK for the Neo Geo family of arcade and home consoles. 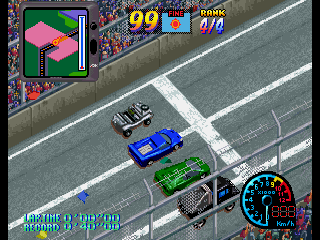 Over the years, the games have been ported to various non-SNK platforms as well including the Super NES and Sega Saturn. 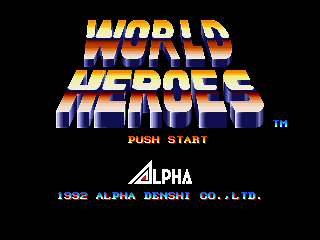 A fifth title World Heroes Pocket was announced for release on the Neo Geo Pocket around 1999 but later canceled. 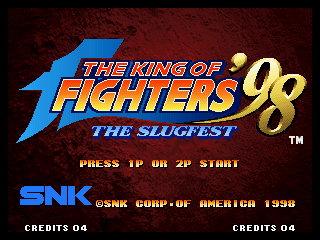 The general premise is that a scientist, Dr. Brown, having perfected a time machine, organized a tournament for various fighters throughout all of history to combat each other. 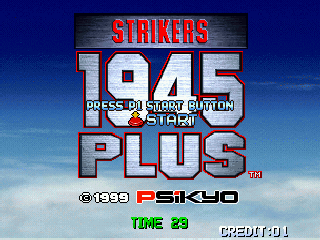 True to this plot, many of the fighters are based on actual historical figures, while some are fictional ones.